“The Lobster,” for all of its bizarre pleasures, is a film that in some ways defies proper analysis. After developing a curious reputation for itself since its Jury Prize win at last year’s Cannes Film Festival, “The Lobster” arrives to puzzle domestic audiences after A24 acquired its distribution rights in May. Delving into the more irrational aspects of love and human desire — both public and private — for romantic connection, “The Lobster” presents something more vexing than its easily-explained premise communicates. And though Greek director Yorgos Lanthimos labels it “an unconventional love story,” the film’s allegorical subtext implies something more disturbing and Orwellian. Taking place in a modern-day dystopia of sorts, the population of this other reality imposes strict laws that require every person to be with a partner at all times. The film follows David, played by a chubby Colin Farrell, a recent cuckold who has just entered his stay at the Hotel, where nameless guests are given 45 days to mingle and find love with another. If visitors aren’t able to secure companionship in time, the Hotel transforms them into an animal of their choice — David chooses a lobster as his potential form because they live for over a hundred years and are consistently fertile. During their stay, guests are subject to propaganda videos and performances about the benefits of relationships, and the only way they are able to lengthen their stay is by capturing Loners — a society of illegal singles in the woods — with tranquilizer darts. One captured Loner earns the captor one more day at the Hotel. David has little luck in his stay, and watches his new acquaintances struggle similarly. The Hotel punishes a man with a lisp (John C. Reilly) for masturbating by having his hand burnt in a toaster, and a man with a limp (Ben Whishaw) forces himself to have nosebleeds in order to invent a connection with a cute girl who frequently has the same problem. The narration by Rachel Weisz — whose presence as the female romantic lead doesn’t begin until the film’s middle — gives this original quasi-sci-fi tale the tone of a black-comedy-fantasy novel, thanks to her affected, stately account of David’s inner thoughts. But her introduction also presents contradictions — we later discover her narration is included in her journal, but how would she have known anything about David before meeting him? The seemingly purposeful gaps in logic only contribute further to the abstraction that Lanthimos puts forth. But even knowing such details beforehand can’t prepare you for the fastidiously arranged strangeness lurking behind every scene of “The Lobster.” Its themes are slightly obvious but its message is far more interpretational. The film’s premise and vague, show-don’t-tell universe work to deconstruct the absurdities of love. We are heartbroken at the slightest moment of mistrust yet somehow find meaning in another’s affection through idiotic commonalities — David and Weisz’ character, the primary couple, largely bond over their shortsightedness. The point proven by Lanthimos’ visually masterful, stylistically daring head-scratcher is up for debate. Its lack of explanation, particularly in its dangling, ambiguous ending, renders the viewer sometimes as disoriented and vulnerable as with his other famous feature, “Dogtooth,” which was nominated at the 83rd Academy Awards for Best Foreign Language Film. 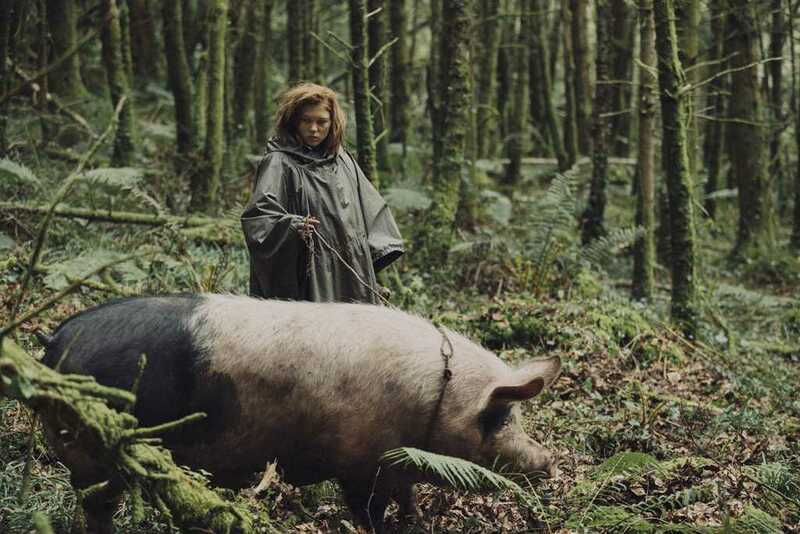 While the 2010 film was far bleaker and more acute in its direction, “The Lobster” offers a more entertaining time, and leaves viewers with more questions and curiosities to pick through. Exhibiting a stellar cast, finely wrought surrealism and touches of humor, exciting unpredictability and an unconventional structure, “The Lobster” really is one of a kind. Just don’t expect to absorb all of the perplexing idiosyncrasies in one sitting.